Whether you’re a beginner or a pro, it’s important to have the proper gear and training equipment to prevent injuries and get the most out of your training. While there are many options to choose from, we will be discussing the most commonly used equipment and gear that’s essential for training and matches. 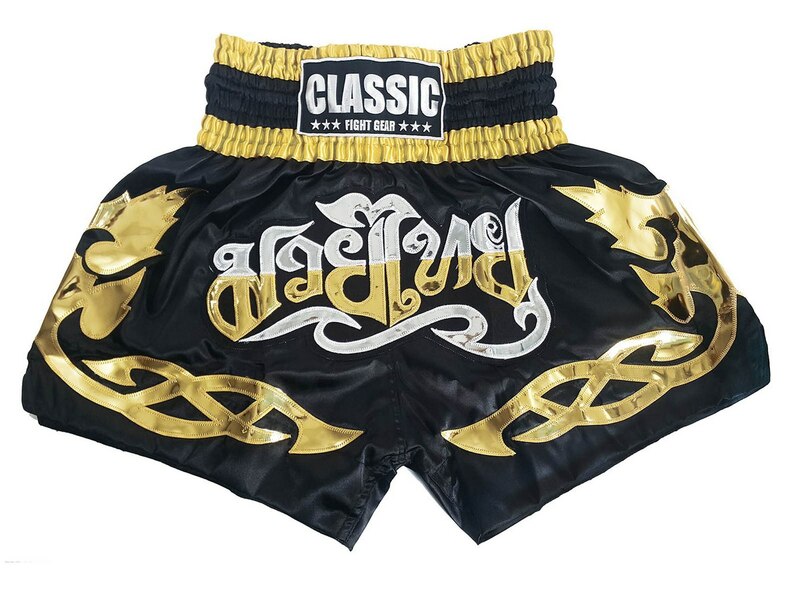 Thai style Muay Thai Shorts. This is very important and signature of Muay Thai Training. 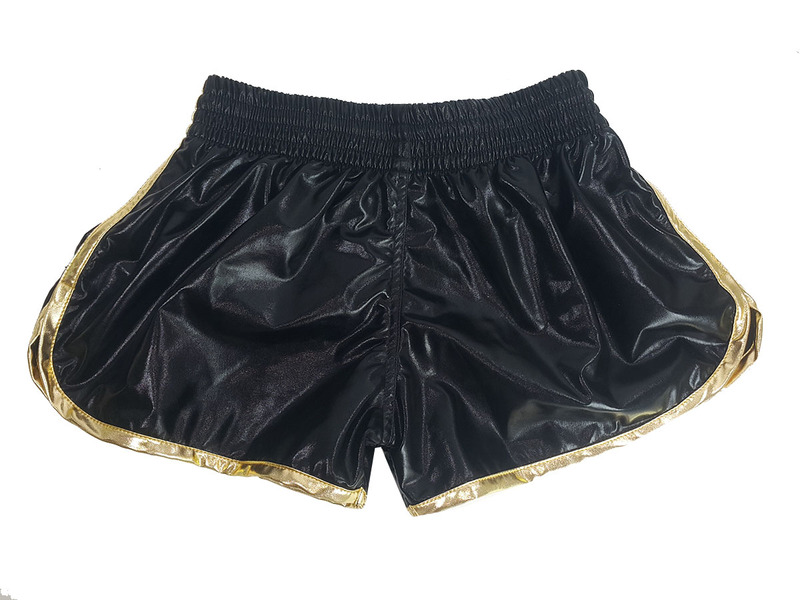 Muay Thai Shorts are different from other sport. It’s designed specially for easier kicking and moves. Most of quality shorts are made in Thailand. 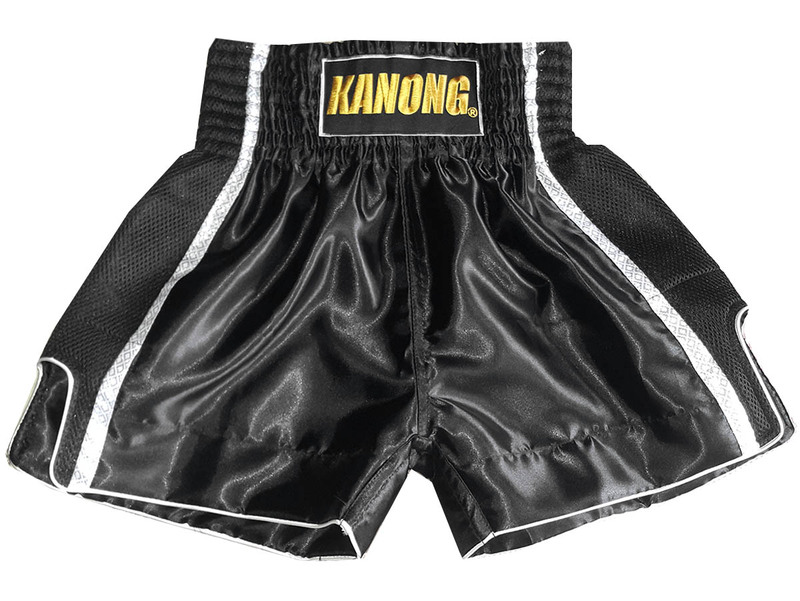 You can find the best Muay Thai Shorts there. You should protect your hands well because it is one of your weapons that you use to defeat your opponents. Hand wraps help cushion your knuckles and brace your wrist against the force of your punches. This will help prevent injuries when you do pad work and training on the heavy bag. Depending on how you wrap your hands, you can add extra layers around and between your knuckles. Using clean hand wraps will also ensure that your gloves don’t smell after your training session. 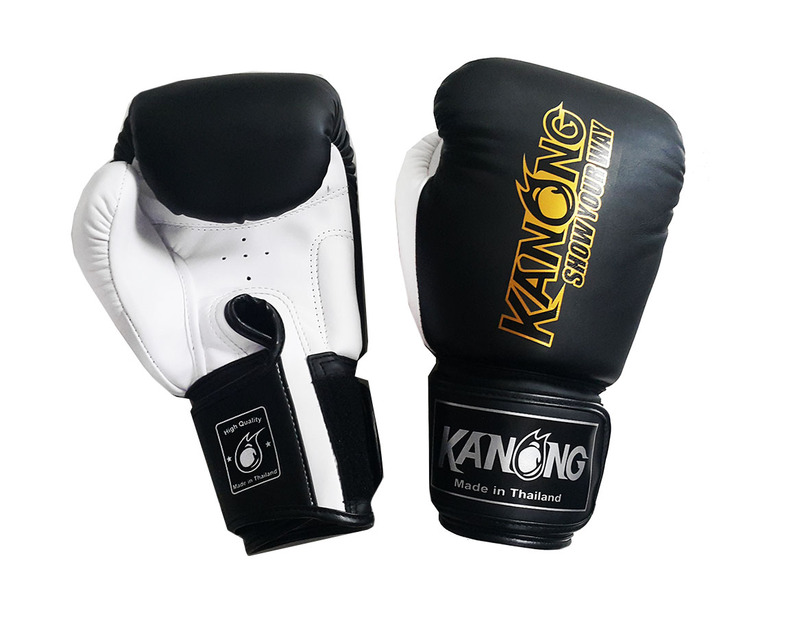 As with any hand-to-hand combat sports, you will need a pair of Muay Thai gloves. Muay Thai gloves hardly vary in shape within their intended purpose, ex. Sparring, training, etc. The thumb piece is straight, which allows for clinching and the padding is thicker along the back of the hand for absorbing impact from blocking. The padding around the knuckles are thin too – you have increased options to attack your opponent with, i.e. kicks, elbows, knees, so there’s less need to focus the protection around the knuckles. There are a few things to consider when purchasing muay thai gloves. There are five types of gloves: training, sparring, competition, clinching, and bag gloves. Ideally, most people own a pair of light training gloves (10-12oz) for pad work and hitting the bag, and another pair of sparring gloves (16oz). If you want to cut cost, you can go ahead and purchase 16oz gloves for multi-purpose too. Usually the most important deciding factor is the weight: gloves come in 10 – 18oz. The standard gym requirement for sparring is 16oz gloves – some people don’t know how to control their power, so using lighter gloves can be dangerous. Other factors that will affect the gloves you buy are your budget, sizing, fit, and brand. 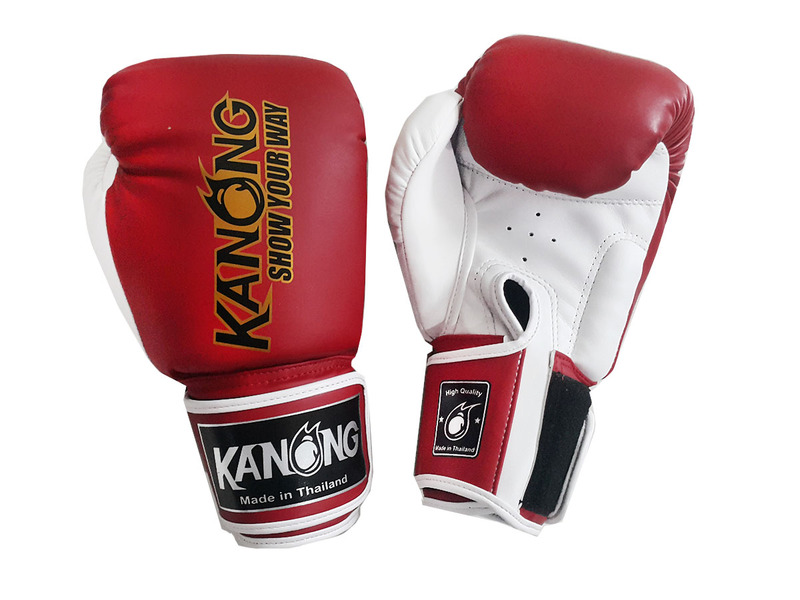 Some of the popular brands include TWINS, Top King, and Fairtex. Mouth guard is a must if you are doing sparring or clinching. You can easily knock your teeth out if someone lands a good punch to your jaw and you don’t want to experience that. It’s also good to have it in case you end up doing drills that require contact. Mouthguards generally come in 2 types, either custom made or boil-and-bite. If you can afford it, go for custom made because it has the imprint of your teeth and will ensure the right fit. Otherwise boil-and-bite mouthguards will work just fine. 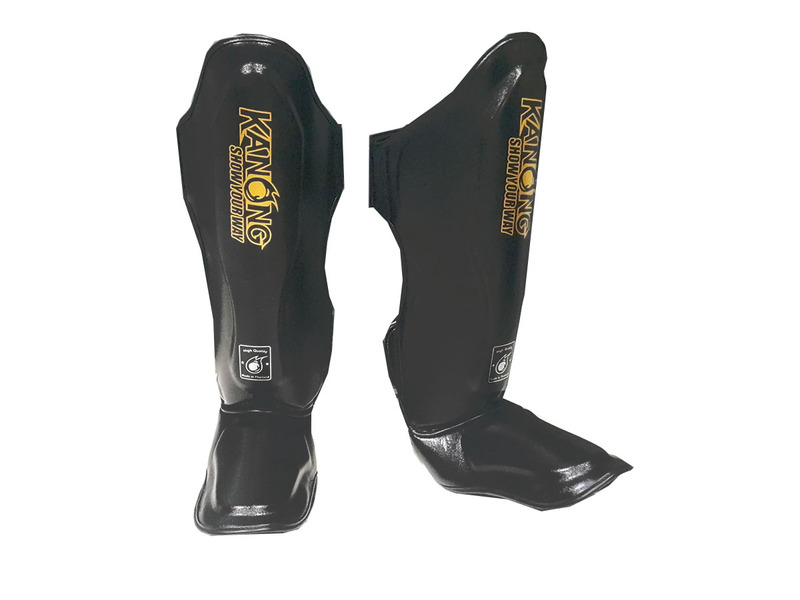 Even if you don’t plan to spar, you will definitely be doing drills that involve using your shins…so why not invest in shin guards? Good shin guards will protect your shins and your feet during the drills. It’s not required, but you can be sure that you’ll be losing some leg hair besides the impact of the training. Hand pads, otherwise known as focus mitts, are used for boxing combinations and precision. It’s not necessary, but it’s useful for practicing strikes and blocks. 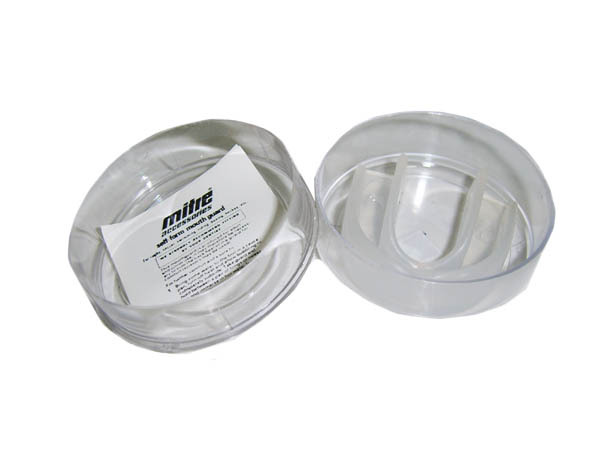 Pad holders can throw strikes while the receiver can practice their defence and counters. 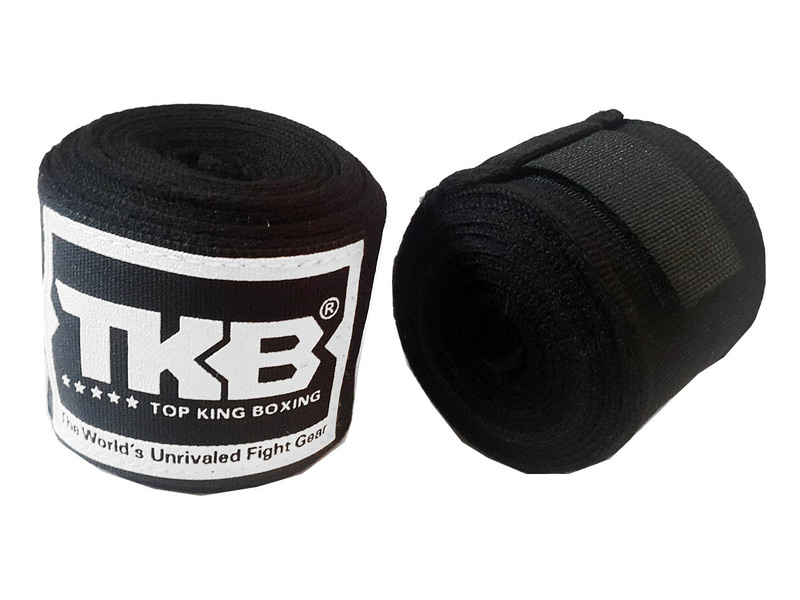 A common training equipment pair is a hand pad and Thai pads – this enables the nak muay to practice their strike precision and their kick combination. Thai Pads are essential in practicing kicks and you want one that fits well. The pad runs the length of your forearm and has two straps that goes around your forearm near your wrist and elbow. Initially you will notice that they are stiff, but they’ll break in once you use them often. There are lots of selection, but your best bet is with TWINS, Fairtex, or Top King. In addition to other pads, leg kick pads are used for practicing low kicks. These pads are designed to absorb a lot of force so you won’t feel the withering blows to your legs. Pair this with a focus mitt to practice your jab and leg kick combinations. Now that you`ve familiarize yourself with the basic equipment, you’re one step closer to becoming a good nak muay. Keep in mind that once you start out, you will not have all of these. That said, you should definitely own a few of the most important ones: gloves, hand wraps, and mouth guards. Depending on how committed and advanced you want to go from here, you can always upgrade. Unlike other martials arts which places more emphasis on theory and application in controlled setting, Muay thai places more focus on sparring and fighting to develop skills and experience. The main reason for this is Muay Thai’s focus on physical fitness and strength for competition in the ring. Regardless of whether your goal is to become a competitive fighter, increase your fitness, or have fun, Muay Thai can cater to multiple goals. Now that you have chosen to train Muay Thai, the next step is finding the right gym. Sometimes picking the gym can make or break your training. If you end up selecting a bad gym, you won’t be getting the most out of your Muay Thai journey. A good rule of thumb is to make sure that the instructors have experience in traditional Muay Thai, maybe even competition experience. If you want authentic Muay Thai training, the gym should be quite specialized in teaching Muay Thai and not general kickboxing. If you want to learn proper Muay Thai, it’s always ideal to start from scratch. Having a background in other martial arts will interfere with techniques that use similar movement. Since your body has already been programmed to execute certain moves, you will need to undo those habits before learning the new techniques. Learning basic fundamentals is crucial in developing a solid foundation in Muay Thai. You want to make sure that you know the movements, basic techniques, and stances before trying to string them together in a fluid and automatic way. Muay thai fights consist of 5 round per matches, and to help increase your endurance, Muay Thai training often involve road work (i.e. running). Outside the gym, you should dedicate a good portion of your time to improving your cardio and stamina. Just like Muay Thai, western boxing also incorporates running into their training regime – just look at Mike Tyson and his early morning runs. Shadow boxing involves spending time in front of a mirror while you perform certain moves to assess your footwork, technique, and stances. This a good time to slow down and check whether you’re executing the moves properly. You want to make sure that you always return to the original stance and never drop your guard. Now is the time to practice moving with a good rhythm, good stance, and a proper guard when you are executing a technique. Working with a partner for pad drills allows you to focus on improving your technique and accuracy. Initially, the goal is to hit the pad properly and execute the move with good body rotation and follow-through. Once you have developed your basic skills, you can focus on improving your power and speed. When you first train, make sure that your partner is more advanced than you so that they can hold the pads properly and correct your movements. Sparring is when you use the techniques taught in class to see what works and what doesn’t. Other martial arts lack this aspect of training, which makes Muay Thai one of the more useful and practical sports. As a beginner, you should not be sparring until you have developed your fundamentals; you will be stuck with bad habits when you have to rely on your reflexes. Worst case scenario is you’ll get injured because you lack the basic skills to protect yourself. Muay thai is a tough sport, and body conditioning is one of the ways to develop the mental fortitude needed to take pain without going down. You will be striking a lot with your shin bone and it will take time for your body to become used to it. No pain, no gain right? Training with a heavy bag gives you an opportunity to practice your techniques with resistance on your own time. At first, hitting the punching bag will be awkward so don’t worry about power. Chances are, if you try to focus on hitting hard, you may injure yourself. Take your time and focus on practicing just one move and always remember to reset. Once you have mastered the basics, you can move on to trying out different combinations and see what works and what doesn’t. Once you have developed your fundamentals, you are ready to take your Muay Thai game to the next level. Whether your goal is competitive fighting or for enjoyment, you’ll become much stronger and tougher. The art of Muay Thai have evolved over the years. To master this sport, it’s important to understand the techniques used for offense and defense. Originally, traditional nak muay would exchange blows for blows but now in the international circuit, that is no longer desirable. Over the years, western boxing techniques have been adopted as a part of Muay Thai and as a result increased the range of defensive and offensive options available to a fighter. The punch is the most basic technique that is taught in Muay Thai. Having good punching techniques can help you dominate your opponents and land you that winning shot. Initially, Muay Thai punches were limited to only cross and arm strikes using the palm. As western boxing techniques were adapted, jabs, overhand, hooks, spinning back fist, and uppercuts became available to the fighters. A good general rule of thumb to delivering a good punch is to rotate your wrist at the end of your punches. The extra twisting motion allows your body to rotate along with your wrist, resulting in increased power and accuracy. Note that these movements do not apply to all punches, especially the spinning back first and superman punch. Another thing to note is when you punch, always pull retract your arms quickly. You don’t want to be leaving yourself wide open and exposed for counter-attacks. Muay thai kicks are considered one of the greatest offensive moves because of their power and versatility. It’s one of the most commonly used technique in matches because of its ability to generate a lot of power and knock out the opponent in one shot. The main difference between other martial arts and Muay Thai is that fighters use their full body weight as a leverage for power and the shin is used more often than the foot. The basic movement that is applicable for all kicks is thrusting and pivoting your hips toward the direction of your kicks. Power is generated from the movement of your hips, so you want to aim it in the direction you want to send it. Teep, foot thrust, or push-kick is distinguished by the bending knee, followed by a quick leg extension using the foot or heel to hit the target. The push-kick is mainly used either to ward off the opponents from a distance or to knock the opponent off-balance to follow up with another technique. Because you are leaning back and using your body as a leverage to deliver a powerful teep, you should be careful that the opponent don’t grab your leg while you’re off balance! Elbow techniques is one of the difficult and most dangerous moves in Muay Thai because the point of contact is the pointed tip of the elbow. Small surface area means that more force can be produced within the given area. The flexibility of the shoulder allows the elbow to move in many different directions, which makes it very versatile in attacking and defending. Keeping the angle of the movement narrow will help increase accuracy, speed, and leave less opening along your body. Knee thrust is one of the harder techniques to master in Muay Thai, but if executed properly can be made into one of the most lethal moves. The knee thrust is used in close-combat and often times require the fighter to clinch and grab onto your opponent. This move can be difficult for beginners to master; the desired motion is an upward thrust of the knee, which requires good balance. A proper knee thrust should travel straight and not waver. You should be able to easily extend and have your foot pointed up all prepared to transition into a kick. The hips must thrust forward to drive the teep towards the target, which is generally the chin area down to the stomach. Now that you are familiar with the techniques used in Muay Thai, always remember to practice, practice, and practice. Fighters practice these moves tens of thousands of times and even then, they still have to fine tune little things here and there. Make sure to practice the fundamentals to build a strong base, and only perform moves you are comfortable with to prevent injuries. Be safe, train hard, and chok dee! Muay Thai is our life.